The eco-friendly and stylish C-Zero is ideal for urban driving. This car is a 100% electric plug-in so the running costs are extremely low, as well as being environmentally friendly. In addition to this, you also save on road tax as there is none to pay on all-electric cars. Feast your eyes on this exciting all electric city car. This is the future without compromise. It exterior is compact but packs a surprising punch where style and versatility are concerned. The cars funky unique shape stands out on the roads giving it a distinctive edge. With a tiny turning circle, this car is agile and perfect for driving around tight city streets. Choose from 6 stunning colour exteriors, including classic colours of Antarctica or Pearl White, Cool Silver and Black, or go for individual look with the colours of Chilli Red or Kamer Blue. As standard, this all electric model comes with 15” alloy wheels. 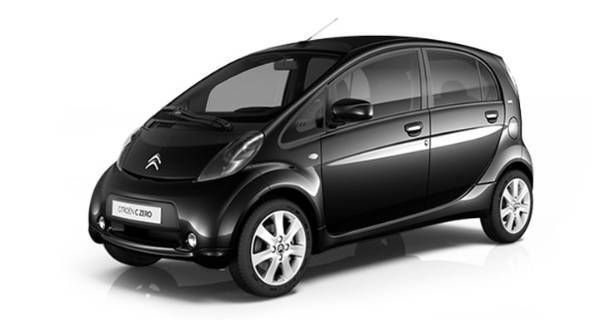 Featuring automatic lights, integrated LED daytime running lights and a slightly tinted windows, this car mixes the nippy city car with a touch of a sporty edge made all the better by having C-Zero emissions. 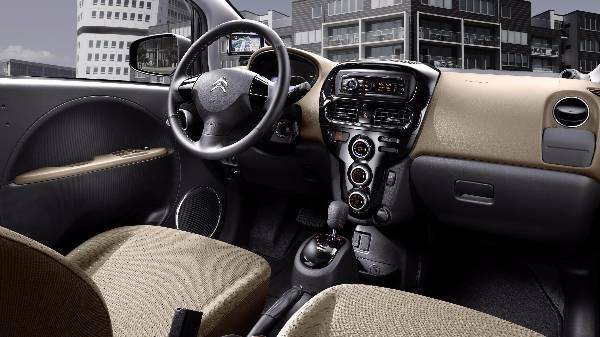 The interior of the City car is light and airy and provides good visibility. It’s comfortable and can quite easily seat four adults, this is due to the electric motor placement freeing up space throughout the interior, making this a very spacious car with a 166 litre boot. 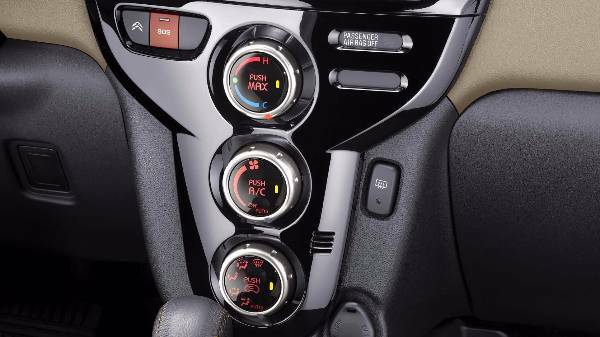 You will find that all C-Zeros are equipped with air conditioning and all controls are digitally displayed neatly on the dashboard display screens, including the car’s charge level. The exterior has been designed to be distinctly different, with its slightly convex rear roof arch rear windows and short bonnet, giving this electric car clean simple body-lines. This electric car is no slouch around the tight windy city streets, the 100% electric motor generates 49KW of power giving this car a top speed of 80mph. Its 14.5KWh lithium-ion battery can provide a range of 93 miles, making this one of the best electric cars in its class. This clever plug-in car can charge its own battery while on the move, as you decelerate the electric motor works like a generator, converting the vehicle’s kinetic energy into electric power. 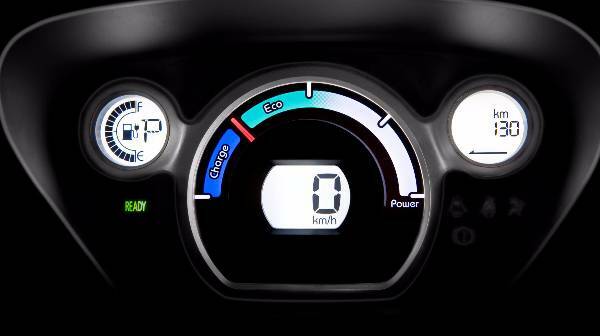 Each C-Zero comes with keyless start/stop as standard, saving your charge when stuck in traffic. This may not be an issue for you as this nimble compact car has a small turning circle of just nine meters, giving you the flexibility in those tight City streets. You can use a normal mains plug in your home, charging will take 6 to 11 hours to be fully charged. If you are on the move connect the C-Zero to a charging station for an 80% charge within 30mins, this will get you back on the road in no time. After reading this if you're thinking about experiencing the new Citroen C-Zero, then book a test drive at one of our Howards Citroen dealerships in Taunton or Weston-super-Mare, or give us a call. As a further incentive, not that you need one. 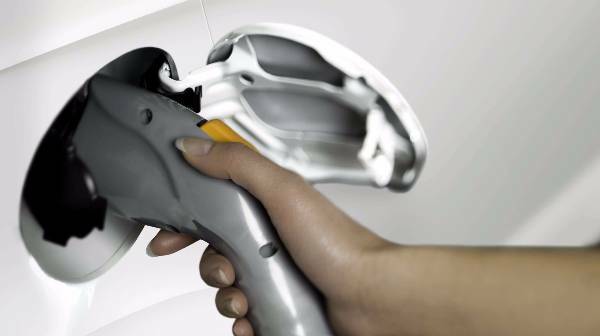 The Government offers an electric car grant scheme where they give out grants to people buying electric cars. Howards are dedicated to provide you with the best customer service and experience when visiting one of our Citroen dealerships in Taunton and Weston-super-Mare. Let our expert staff help you find the right car at the right price for you. We can even advise you on a personal contract hire or personal leasing on a C-Zero. We want you to leave happy with your new car, so it doesn’t just stop there as our aftersales are second to none and would like you to consider us for your future servicing or MOT needs.